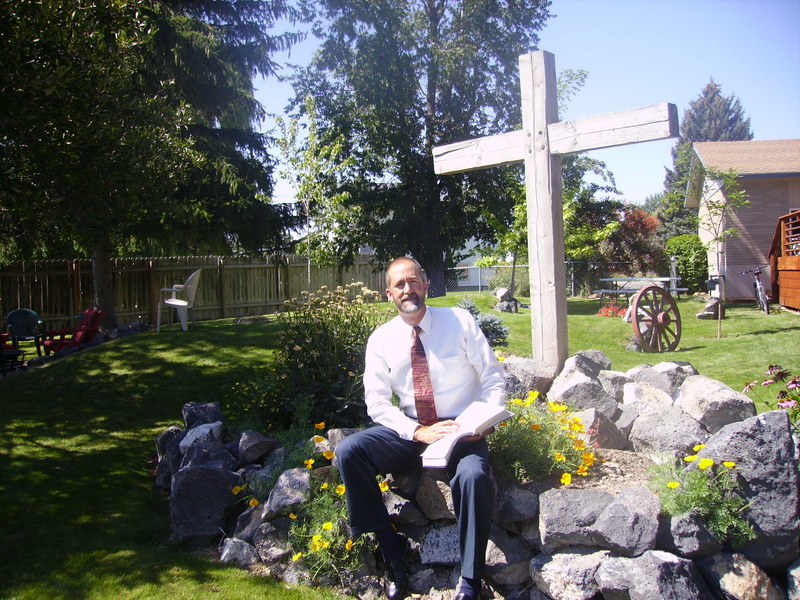 September 4, 2011 – Beautiful day here in Southeastern Idaho! Happy Labor Day Weekend to you all. On the LDS Radio (94.3 FM) this morning: “It Passes All My Understanding”, “I Need Thee Every Hour”, “Be Still My Soul”. I listened to the first song listed for the first time. The song described the encounter of one who believed in a Creator with a scholarly, scientific atheist. By the way, I passed on my bicycle two young LDS missionaries today near my house. How do you think you could tell me apart from my LDS friends? At Berean Baptist Church this morning . . . Morning message: “Now in giving these instructions I do not praise you, since you come together not for the better but for the worse. For first of all, when you come together as a church, I hear that there are divisions among you, and in part I believe it. For there must also be factions among you, that those who are approved may be recognized among you. Therefore when you come together in one place, it is not to eat the Lord’s Supper. For in eating, each one takes his own supper ahead of others; and one is hungry and another is drunk. What! Do you not have houses to eat and drink in? or do you despise the church of God and shame those who have nothing? What shall I say to you? Shall I praise you in this? I do not praise you” (I Corinthians 11:17-22). What are your motives for “coming together”? Business status? Self-interests? socioeconomic positioning? Then shame on you. What are the main purposes for you to come together with others? How do you reach out to others through a common meal? Who is it that you have neglected? Do you maintain Agape Feasts in conjunction with Eucharist? The “Lord’s Supper” is the visual capstone whereby a local church family shows the gospel work of our loving Lord. As the organic, living body of Christ on this earth, what organization out there in America compares and regularly celebrates shed blood and a broken, torn body vicariously put to death on your behalf? What can you add to this? Let the living Lord of the supper speak to us all today. And hopefully, if you get to know me, a little bit more . . .
Todd, just to clarify, are you suggesting in #2 that the Scriptures command a common meal when we celebrate the Lord’s Supper? Yet it is interesting JG when in studying church history how common meals got separated from the Lord’s Supper. Our family doesn’t practice any type of Agape feasts except in quarterly potlucks associated with family sessions. But I think that GBC in Elko, NV does. Thanks, Todd. We always have tea/coffee/biscuits (cookies to you guys) after our service. As for a full meal, 2-3 times a year, maybe, especially at times when we get together with another church. Another church uses our building for baptisms, and we always have a meal together. Blessed times. Greg, give me some insight on when Churches separated Eucharist from Agape. Jon, those fellowships sound like blessed times. Todd, that probably happened at different times in different places. There is no good historical evidence one way or the other, at least none that I’m aware of. Many scholars think that this separation really begins right here with St. Paul’s words about eating and drinking at home. OTOH, in the Didache, written probably sometime between AD 70 and AD 100, it seems that the Eucharist is still being celebrated in the context of a common meal. To continue: Ignatius of Antioch, writing c. AD 110-115, mentions both the Eucharist and Agapes, but not together, and the language concerning the Eucharist is both sacrificial and sacramental, which might imply that the Eucharist is, at least in Antioch at that time, completely separate (although the Didache, too, calls the Eucharist a sacrifice, alluding to Malachi 1:11). Justin Martyr (c. AD 150) describes a Sunday service which includes both the ministry of the Word and the Eucharist, and, like Ignatius, calls the consecrated bread and wine the Body and Blood of Christ, but does not mention Agape meals. I think it would be a misread of Paul’s intent. It is not clear, Todd, that this is what St. Paul actually meant, but I’m saying that it is likely that the separation in fact begins here, such that the Eucharist is celebrated as part of a single service with the ministry of the Word and “the prayers” with the Agape meal following. This is not unreasonable in that, as he points out, participation in the Eucharist involves sharing in the very Body and Blood of Christ, a sharing that would indeed set the stage for a more appropriate participation in the Agape meal as an event subsequent to, and separate from, the liturgy itself.. The Jerome Biblical Commentary seems to give the majority position as being more in line with what you are saying, but lists “J. Huby”, “Coppens” and “VDBS”, the latter apparently a French language Bible dictionary, as supporting the notion that St. Paul,in fact, abolishes the common meal with these words. Personally, I think that the latter position goes too far, and, in any case, given the evidence from the Didache, if Paul is doing that, he is, apparently, only doing so in Corinth. It is also unclear, however, what influence St. Paul had in whatever community, probably in rural Syria, out of which the Didache comes.